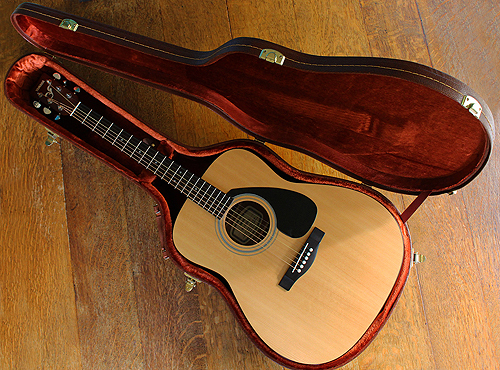 Yamaha FG-403MS acoustic guitar with a dreadnought-style body. They were made from 2002 to 2004/5. 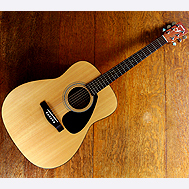 The Yamaha FG range is one of Yamaha's longest running acoustic guitar series. Started in 1967 and still made today there is a bewildering number of models. The guitar is in very good condition apart from a ding on the headstock shown in the pictures above. 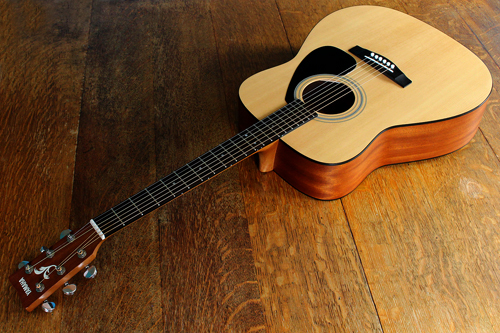 The Yamaha FG - 403 MS is an all wood guitar that has a solid spruce top with Nato back and sides. 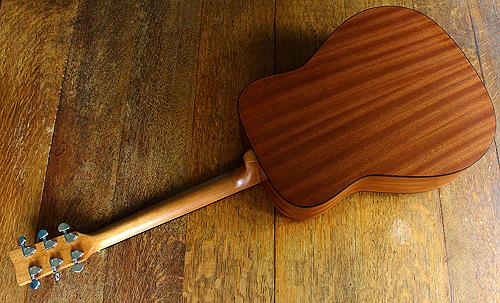 The sound hole has a multi ringed rosette with black pick guard and edged body binding. The bridge is made from rosewood. The neck is also Nato with a rosewood fingerboard with dot inlays. 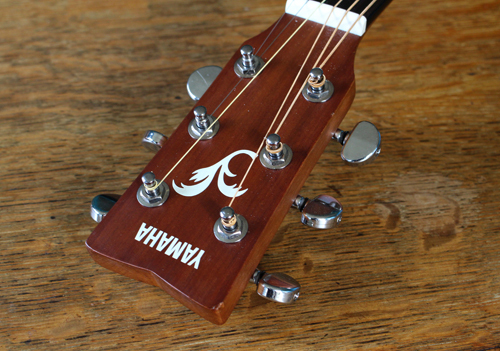 The headstock has a mahogany overlay with an inlaid logo and plume design. the tuners are 3 a side individual machine heads. There is a video of Jimmy Page playing one here if you wonder what it sounds like. I like the matt finish on this guitar that seems to have been built well. I haven't owned this from new but the condition apart from the ding in the headstock seems almost unplayed. Excellent sound and supplied with a brown hard case which has a few scuffs but has its keys and all locks and clasps are in good condition.